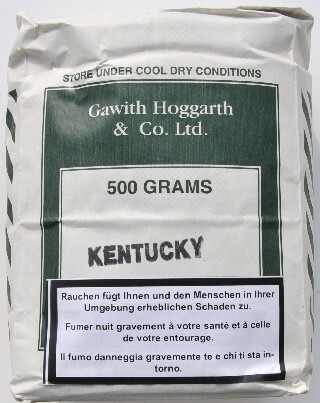 100% pure Kentucky Dark-Fired Leaf, with the characteristic Kentucky Flavour. For the confirmed pipe smoker. 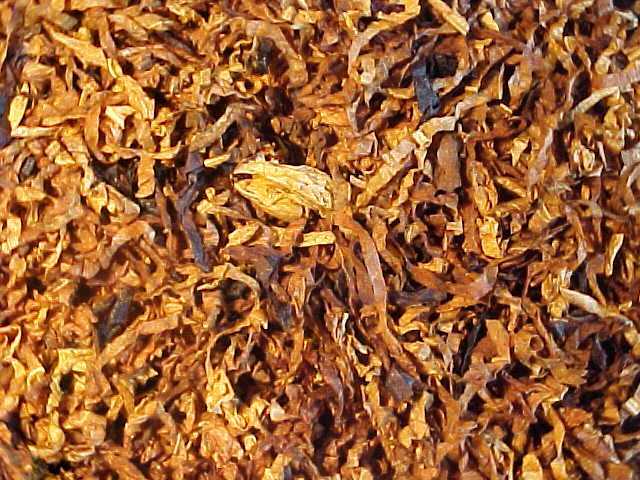 A hint of Latakia gives this blend of pure tobaccos its subtle distinction. 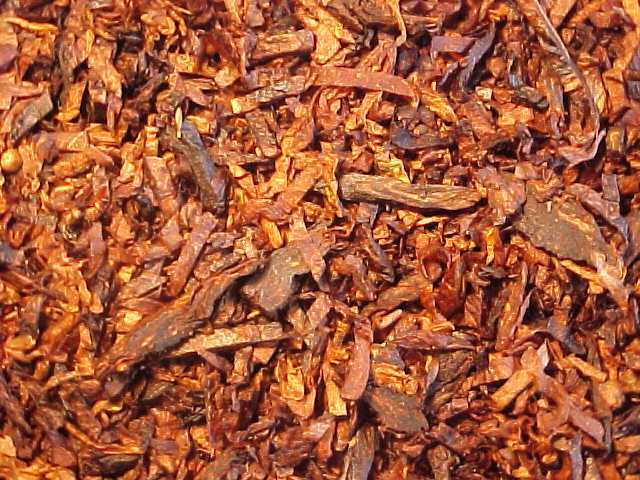 A traditional Blend of bright and dark Virginias combined with black Cavendish tobaccos. No additional flavours or casings. With this blend you not only have to like Latakia - you have to positively "crave" the taste, as this blend contains 45%!! The pouch aroma presents a wide array of aroma, mainly, sweet, nutty and spicy. Upon lighting the taste right away reflects these quality, and some more, including creamy and spicy. 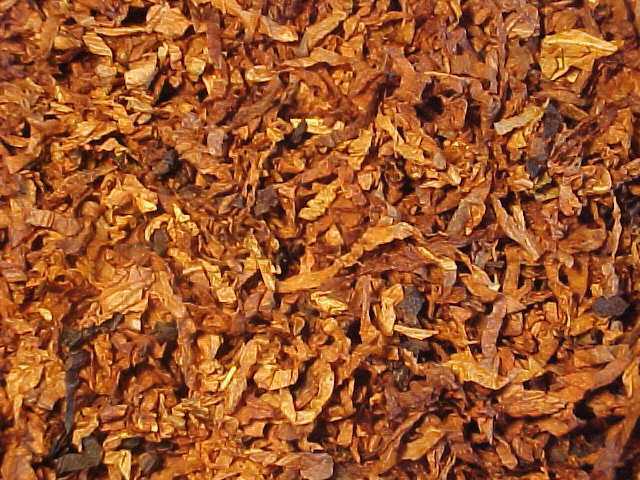 A natural tobacco mixture can hardly ever get any sweeter than this one. 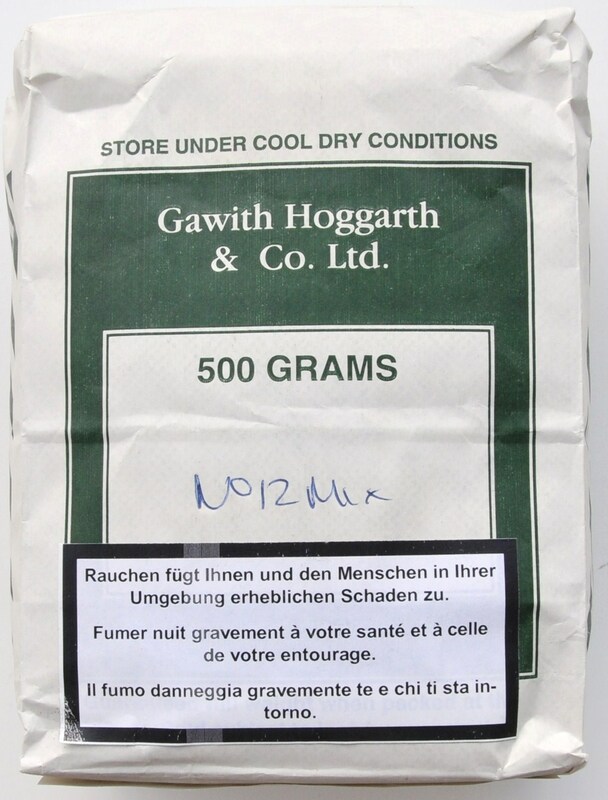 The complex taste and aroma are impressively consistent through out the smoke; however, each one of them seems to takes over for while and then gives way to another, and so on. This results in an extremely exciting smoke and is an indication of a talented blender. Due to the cut, it's advisable to apply care when packing, since you can easily apply too much pressure and consequently clog up the pipe. The mixture burns very evenly, and it's quite easy to smoke through a whole bowlful without need to relight. What impressed me most is the fact the high percentage of Latakia is by no means overpowering! 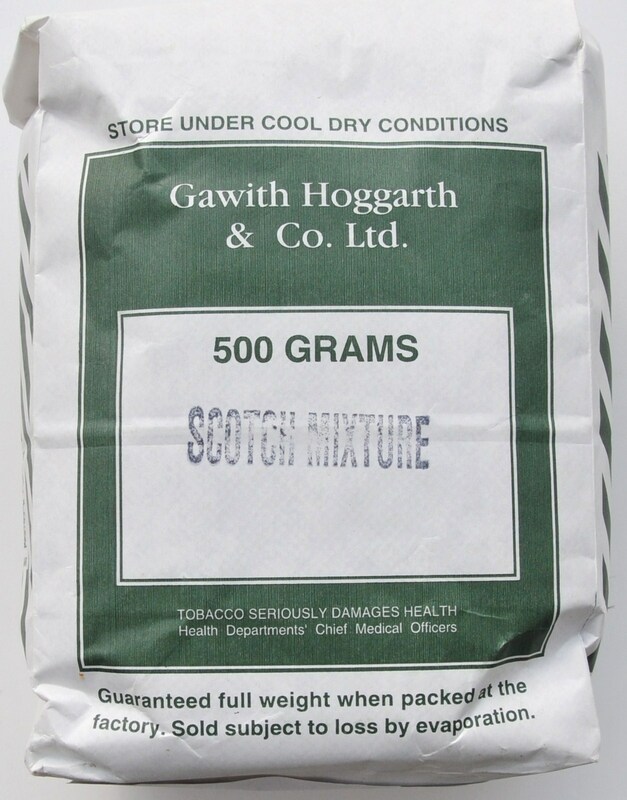 I find this to be one of the tastiest English mixtures, and is suitable to smokers, both expert and novice. 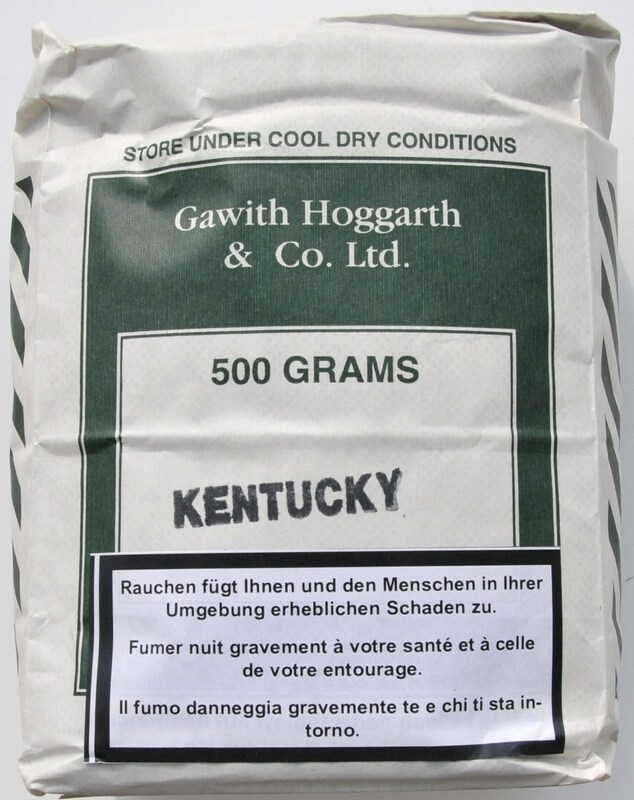 A very traditional British blend of Latakia and Virginia. A blend for lovers of Latakia - the main characteristics of this Virginia blend. 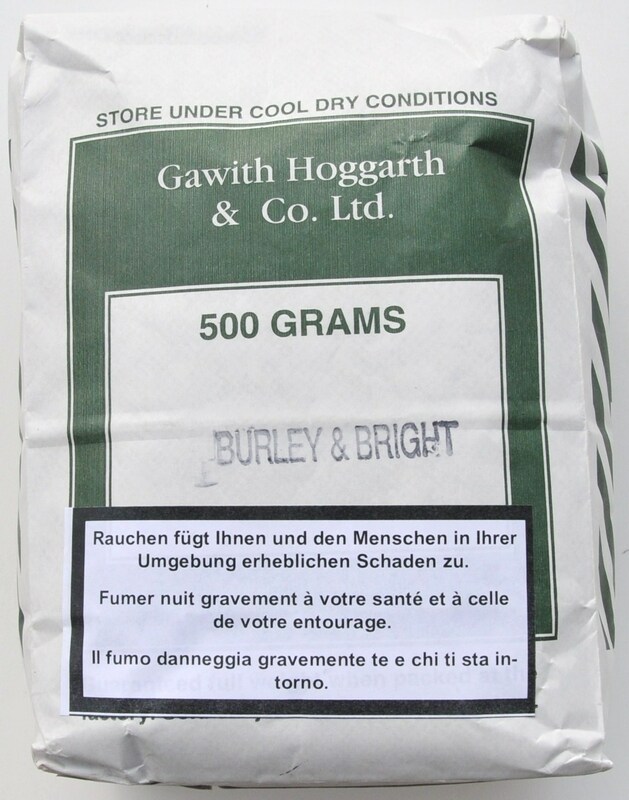 A very typical English Latakia Mixture, with 12.5% Latakia and 7.5% Black Cavendish to help cool the smoke. 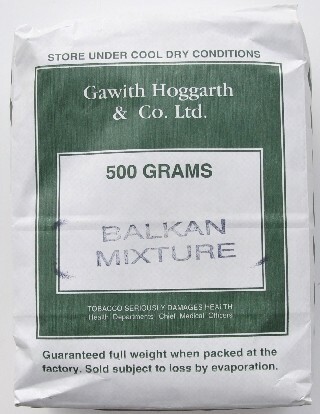 If you like latakia then you will find this blend extremely pleasant. 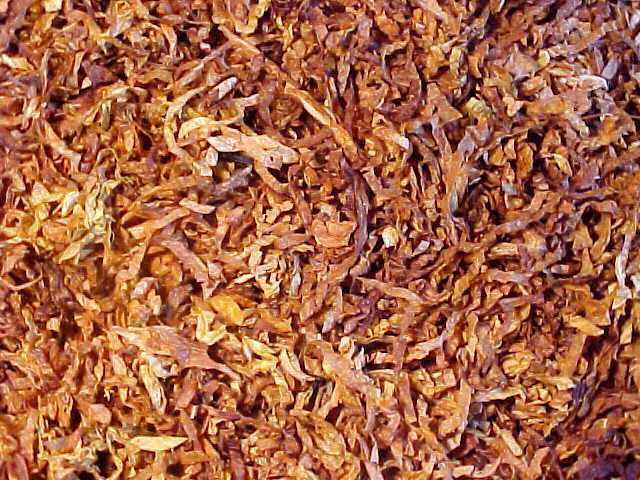 This mixture, in my opinion, represents the subtle application of Latakia; it's used in a percentage that enhances the mixture, tickles the taste buds, without resulting in a "one-tobacco-show"! The cut means that packing should be done with care and only the slightest pressure. Upon lighting, the dominant taste is that of very sweet, natural VAs and of Black Cavendish; minutes into the smoke, the Latakia gets into play, without overshadowing the sweetness of the VAs. Slowly, the taste becomes a subtle combination of sweetness and smokiness, which slowly becomes the "new born" and consistent taste. Later, and towards the end of the smoke, a nutty taste pops up and adds yet another dimension to the experience. From my trials, I noticed that this might be a tobacco that smokes a bit wet, so make sure it's not too wet before packing! I would also recommend medium to large size bowls. I see this as an ideal mixture for those who want to move from Latakia mixtures into straight, natural VAs, as well as those to wish to take the opposite course. The pouch aroma presents a wide array of aroma, mainly, dark, nutty and spicy. 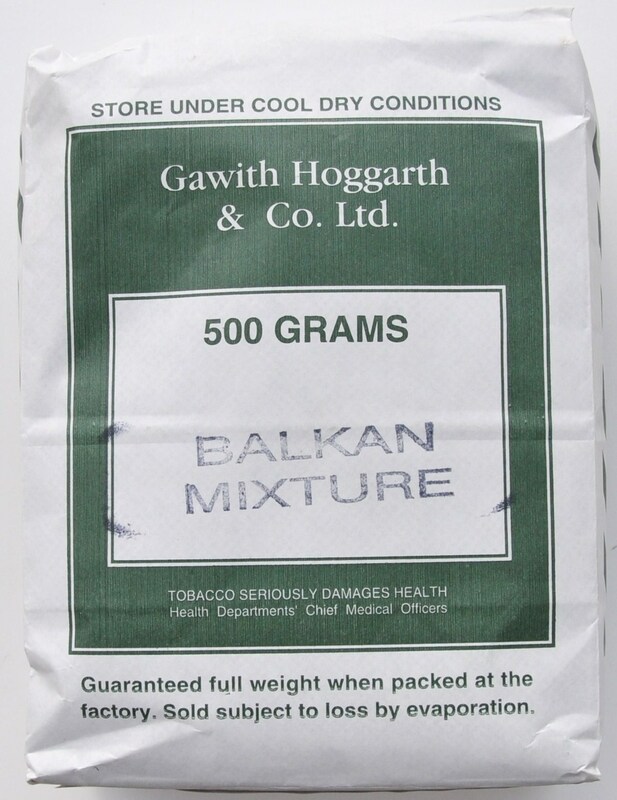 Only the Lakelands-Manufacturers are able to compose a "strong" latakia mixture (which the name Balkan supposed to be), but with a very gently smell for the environnement - you would'nt be excluded from any socity smoking this mixture. The mixture burns very evenly, and it's quite easy to smoke through a whole bowlful without need to relight. Also in this mixture, the high percentage of Latakia is by no means overpowering. D.V.C. 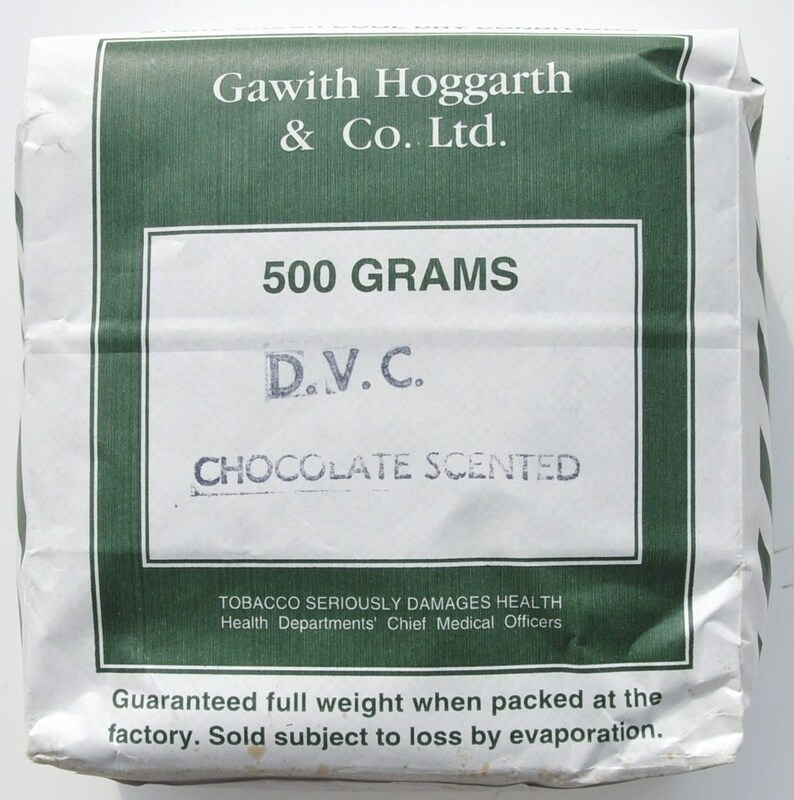 stands for Dark Virginia Cavendish, and is just our version of a "black" cavendished tobacco, produced by heating virginia leaf with lots of steam. 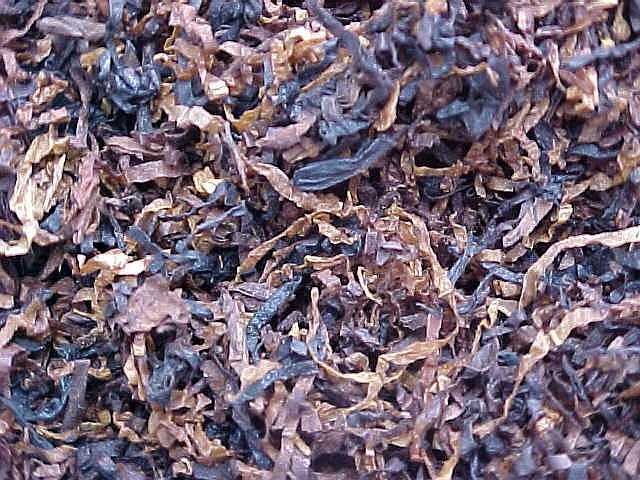 The process removes a lot of the stronger elements in the leaf with the results that the smoke is extremely mild. We find the chocolate flavour complements the blend. A word of advice: Do not let the mention of chocolate turn you off, esp. if you prefer natural VAs. This is indeed a quality Cavendish mixture that I find beautiful to look at, with the dark chunk of Cavendish co-existing with the wide shreds of Bright VA. The pouch aroma is so delicate on the nose and extremely promising! The tobacco is generally a bit too wet, but some airing does the job. It's very easy to pack, light and keep lit. The chocolate flavor by no means overpowers the taste of the quality VAs used; in fact, it enhances it, adding a touch of sweetness that blends so well with the sourness of the VAs. 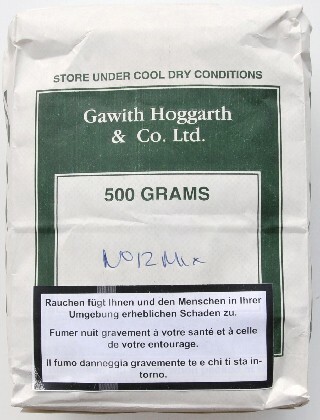 The taste and aroma are very pleasant and highly consistent throughout the smoke. This is highly recommended to a wide range of smokers, particularly those who prefer flavored tobaccos and wish to get to know the world of natural VAs, as well as those who smoke natural VAs and would like to have a change of pace, without "confusing" their tongue and palate, etc. 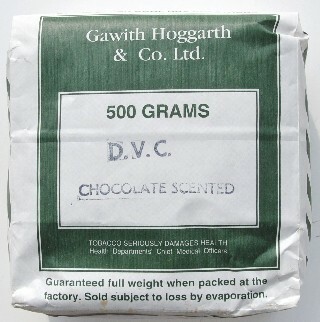 This is definitely one of the best Cavendish mixtures I have ever tried. As the name suggests this blend is a combination of Light Burleys and Flue - cured bright virginias. To the Burley is added a typical Cocoa casing and then the whole blend receives a top flavour of chocolate. 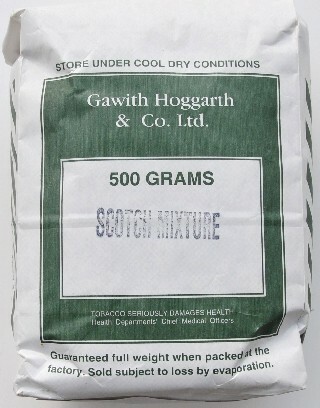 This a GH mixture you can recognize as soon as you see it; there is no other GH tobacco that looks like it. It's an "ordinary" looking mixture of a fine cut, and predominantly light in color. The pouch aroma is very appealing and is very discreetly sweet. I find it's hard to guess what flavor there is by just smelling the tobacco. This tobacco shows how excellent quality Burleys can be, even those used in first class flavored mixtures like this one. Due to the fine cut, it's good to pack it with care, with little pressure. It's very easy to light and burns so evenly and coolly. The taste is very subtly sweet, with a very "elegant" and attractively sweet room aroma. The top flavor does not by any means overshadow the exquisite taste of the ingredient tobaccos, which a sigh of a highly talented blender. This is a mixture I'm sure I'll be always coming back to, mood permitting.